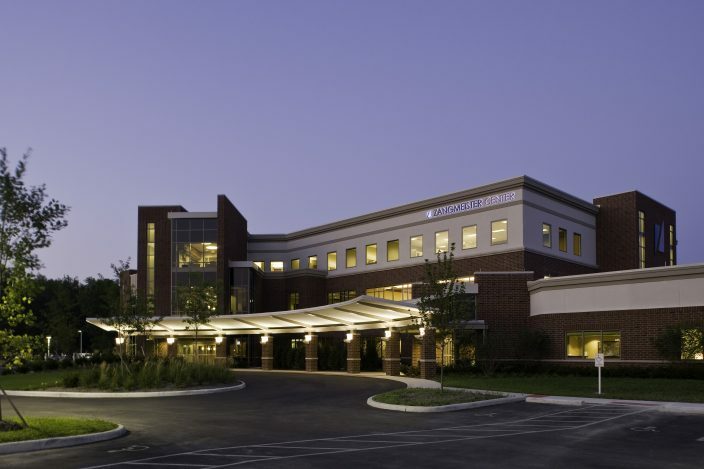 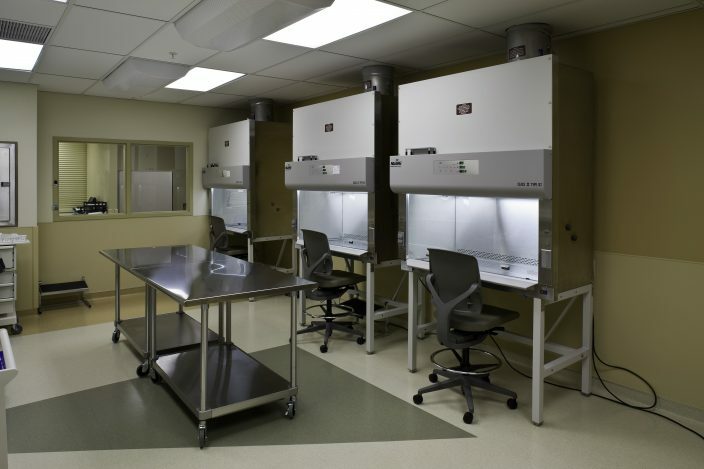 Mid-Ohio Oncology/Hematology (MOOH) consolidated four facilities across Columbus into one facility eliminating the need for patients to travel to multiple facilities for treatment. 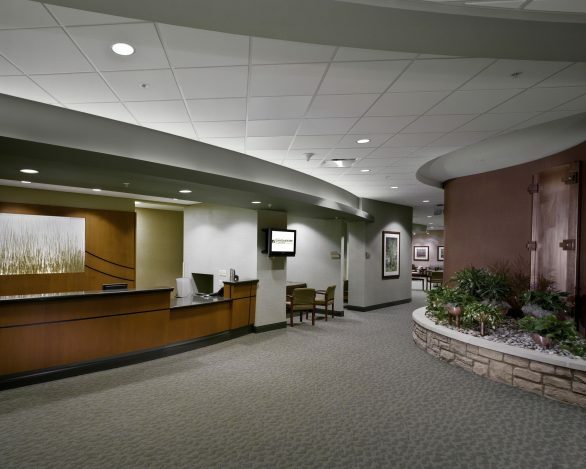 Separate entrances for Diagnostic Imaging and Radiation Oncology created shorter foot-travel distances for patients which streamlined the check in/out process for staff. 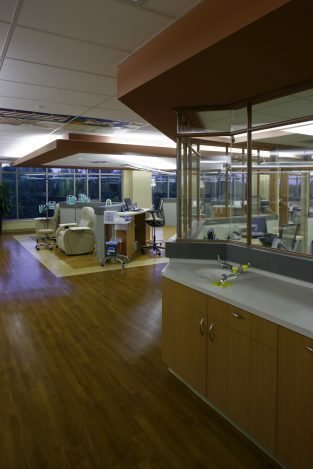 The Zangmeister Center’s layout enables its staff to work more efficiently and streamline communication as it flows in a way that each medical department has its own treatment area and equipment. 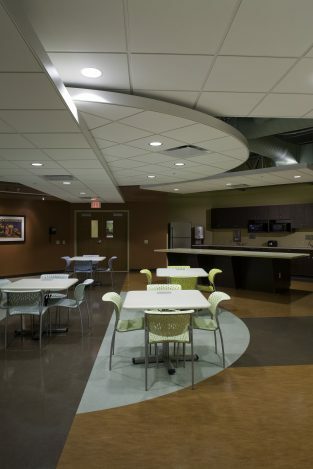 Andrews Andrews provided project visioning and planning services, along with quality assurance. 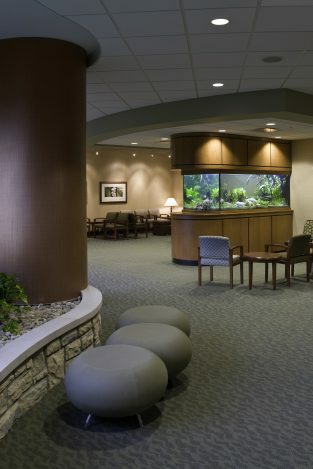 Andrews successfully achieved the Owner’s overriding goal of developing a regional facility that integrated all of the services needed for full-service cancer care while lessening patients’ anxiety and stress through soothing environments. 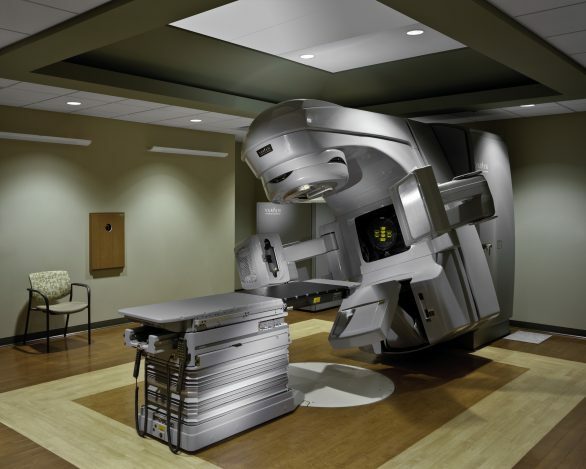 The result is a 18-physician oncology clinic with an infusion center, a full-service pharmacy and lab, a state-of-the-art imaging center including CT and PET CT, and a radiation oncology center with two linear accelerators. 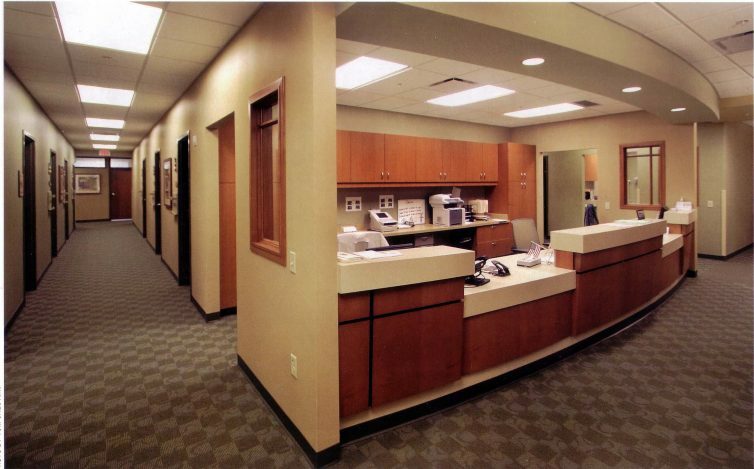 Patient education, library, research staff and social workers are available for patients and families.